The Army will reinforce security forces as part of Opération Sentinelle, and will protect official buildings and other 'fixed points', government spokesman Benjamin Griveaux said, following Wednesday's cabinet meeting. 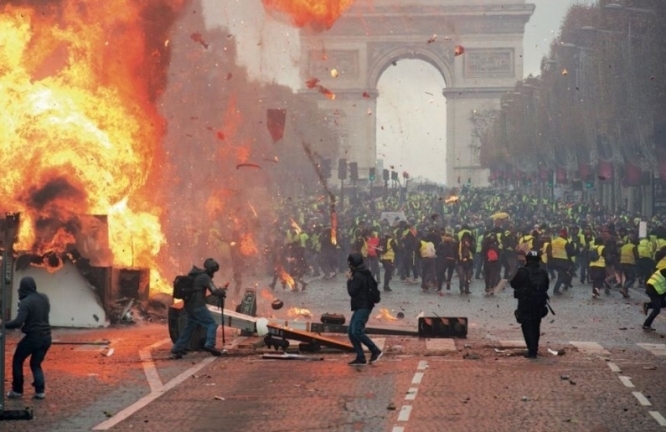 Following further violence and destruction along the Champs-Elysée on Saturday, March 16, during a gilets jaunes protest, the government admitted it had not handled the protests adequately. On Monday, the Prime Minister announced a series of measures to strengthen the response to violence, including a ban on demonstrations in neighbourhoods most affected by the violence. Meanwhile, gilets jaunes protests this weekend in Nice have been banned, despite no serious trouble over the past four months. President Emmanuel Macron is due to mean Chinese Premier Xi Jinping in the Côte d'Azur city at the weekend. Following nationwide calls for protesters to head to the city, mayor Christian Estrosi has issued a temporary decree banning marches in areas of the city that have yet to be revealed.